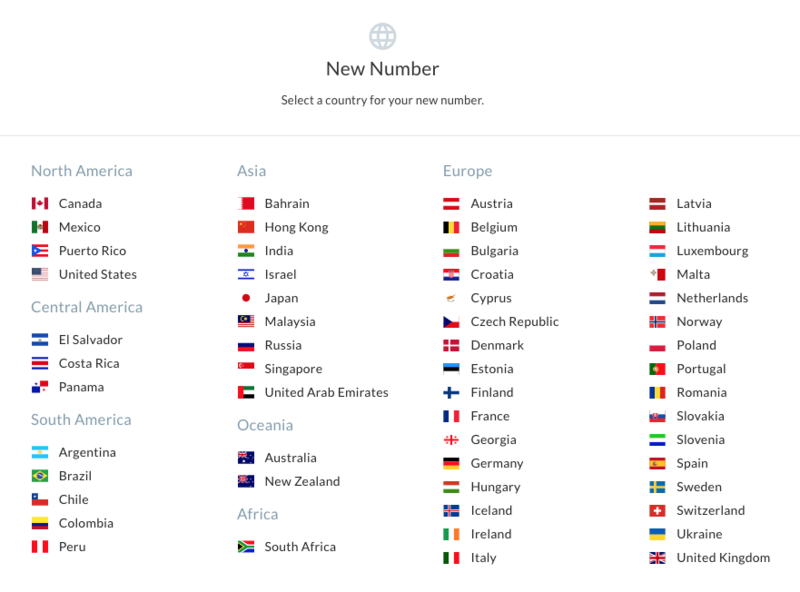 We now offer SMS phone numbers in 15 countries that can be used for texting in addition to calling. All local and toll free phone numbers in the US and Canada are SMS enabled. In all other countries besides the US and Canada, we offer local phone numbers that can be used for texting. You can browse our inventory to find SMS-enabled phone numbers and add them to an existing plan. To find an SMS-enabled phone number, follow these steps. Log into your Telzio Dashboard, and navigate to Plans and Numbers. Click on Add Numbers in the top right corner. Use the sort and filter functions to search for phone numbers. SMS enabled phone numbers are indicated by the SMS icon under the column. If the phone number does not support SMS, the icon under the SMS icon will display an X.
Click Add to add the phone numbers to your cart. You will be able to review the prices before purchasing the number. Review the plans details and price, and click Next. You will be able to review the plan and price again on the next page before purchasing the number. The last step is the confirmation page where you can review the details of the plan, the number of minutes and text messages included in your plan, and the pricing breakdown. Click Confirm to purchase the number. 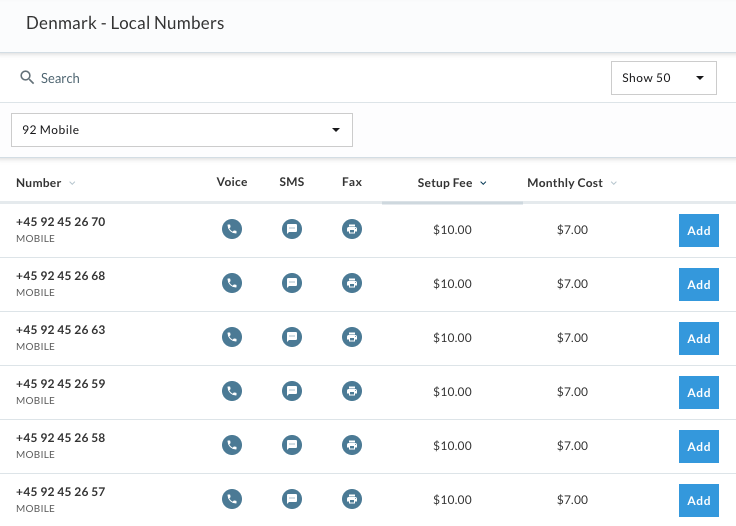 Once you’ve purchased the number, you’ll need to configure the Inbound Call Destination and Inbound SMS Destination for your new number in order to get it working. Without setting the inbound destinations, the system will not know where to send your incoming calls and texts. The easiest way to send and receive text messages is via the mobile app and through the Dashboard. You can find the SMS composer in the bottom right corner of the page, where you can quickly send and receive texts. 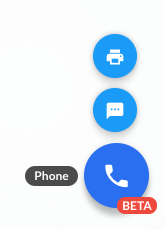 Hold your mouse over the phone icon to reveal SMS, located between the webphone and the fax icons. 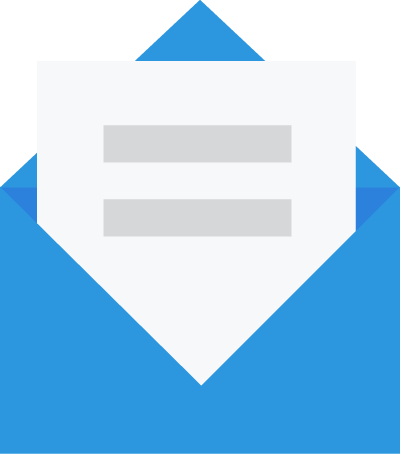 Incoming text messages can be routed to a single employee, a group, an email, or another phone number. 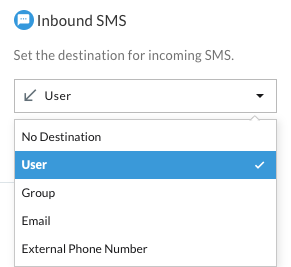 Learn more about how to configure the Inbound SMS Destination. You can also send and receive texts on the SMS page of your Dashboard, as well as view SMS history. Telzio offers a Reassign tool, where you can forward text messages to another user to take over the conversation. You can access the reassign tool on the SMS page of your Dashboard. Visit our blog post “3 Tools for Managing Company Text Messages” to learn more about collaborating on text messages. 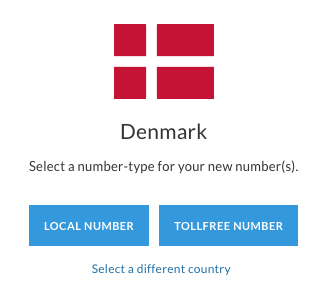 Not seeing SMS for phone numbers in the country you need? Send a request to support@telzio.com. We’re always adding new regions and services! Subscribe to the blog for all the latest updates.